Free Books Application offers houndred of top classic free books. 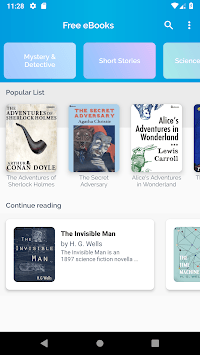 Free Books Application offers houndred of top classic books. Everybody will find something interesting. 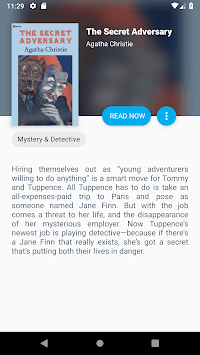 All books in Free books app are categorized by generes to easily discover new books. Want to read book from specific author, or you have your own favourites titles to read? No problem, search on largest book database and find something for you! No mather where you are you will allways have great book with you for FREE. For best reading experience we created build-in ebook Reader with a lot of features like changing book font size, make higlights and more. 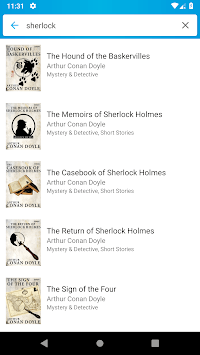 NOTE: Every ebook in Free Book App have PUBLIC DOMAIN access.